If you’ve never been to a Unitarian service – or indeed any sort of church service – it can be daunting to attend one for the first time. The following may help as a useful guide if you don’t know what to expect on your first visit to Norcliffe. Day and time: Our services take place at 6pm each Sunday evening, except on the first Sunday of each month when it will be at 10:45am. Service usually last around 50 to 60 minutes. At Christmas and on Easter Sunday the times will vary, but these will be publicised well in advance. 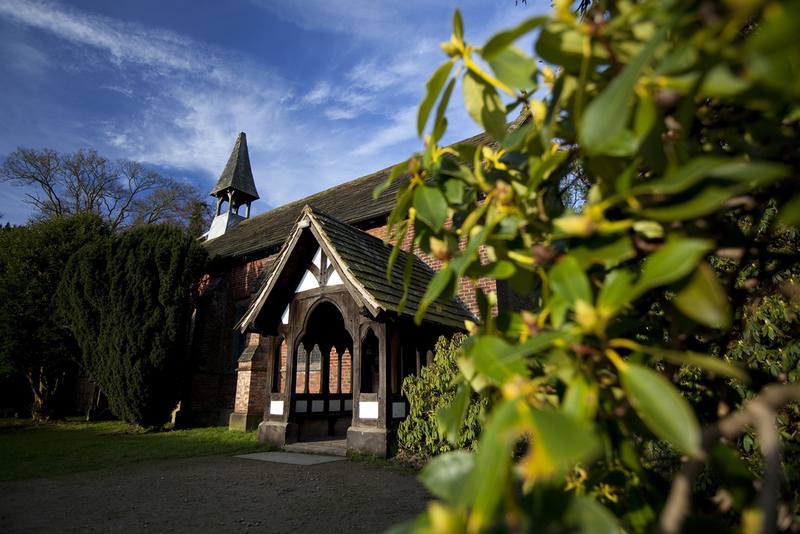 Parking: We are located in the heart of Styal village. If you use the postcode SK9 4JE in your satnav this will get you to the National Trust car park, where you can park for free during services. Don’t worry about the sign saying the car park closes at 6pm – it remains open until after the service on Sundays by special arrangement. Dress: Don’t feel you need to wear your Sunday best (unless you want to!). Dress to chapel is generally fairly casual. Jeans and a jumper is perfectly ok.
Minister: Our regular minister is Rev Alex Bradley, who is also Principal of Unitarian College Manchester. Alex is part-time, so roughly a third of our services are led by visiting ministers from other chapels or by lay preachers. Format: Services will usually start with some opening words and the lighting of the chalice candle, a symbol of our Unitarian faith. There will be a number of readings from the bible and from other sources, prayers and time for silent reflection. The minister will deliver a sermon that is usually around 10 to 15 minutes long, and the offertory (collection) will be taken to help fund the running of the chapel. There will usually be four hymns during the service, and some closing words at the end. There is no need to worry about when to sit or stand, as the person leading the service will clearly indicate what is appropriate and when. Tea and coffee: We serve tea and coffee after the service during which time there is the chance to have a chat with other members of the congregation. It’s great if you can join us, but don’t feel you have to if you need to get home. Children: Children are welcome all services and there are toy bags for quiet play.